(2004/RHINO) 20 tracks - as seen on TV! 20 digitally remastered greatest hits. The most complete career retrospective on one CD! 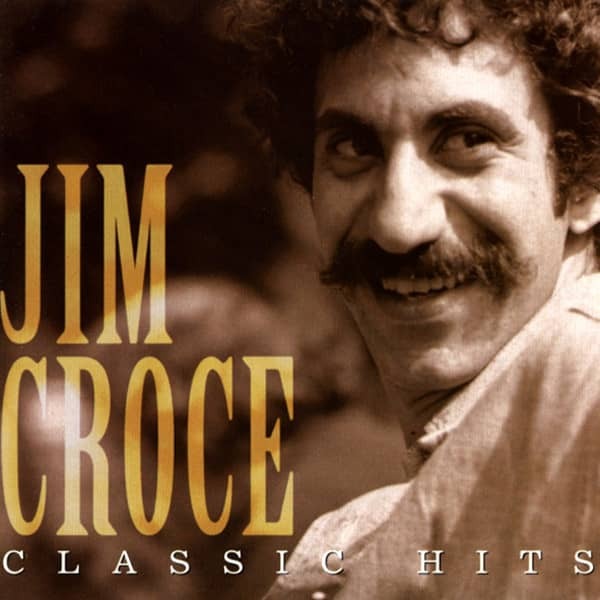 Like Hank Williams, Buddy Holly, Eddie Cochran, Bobby Fuller, and Gram Parsons, Jim Croce remains one of the 'what if' figures in American popular music. When he died in a plane crash at age 30, Croce was at the start of a promising career. His clever, melodic 'character' songs and tender love ballads were refreshing diversions from the mediocrity that ruled pop radio. Jim Croce was born in South Philadelphia, Pennsylvania, on January 10, 1943. His Italian-American parents encouraged him to take up the accordion. Starting lessons at age 5, he developed enough skill on that cumbersome instrument to entertain family and friends at church functions. While working at a summer job in 1959, Croce watched two black laborers jamming on two guitars during their lunch break. When they offered to show him some chords, Croce hocked his brother's clarinet for a Harmony archtop and brought it to the worksite. While attending Villanova University, Croce auditioned for the college glee club. One of its members, Tommy Picardo, introduced the youth to records by Woody Guthrie, Lead Belly, Jack Elliott and Oscar Brand. Forming a folk group, they began performing at Philadelphia coffeehouses. 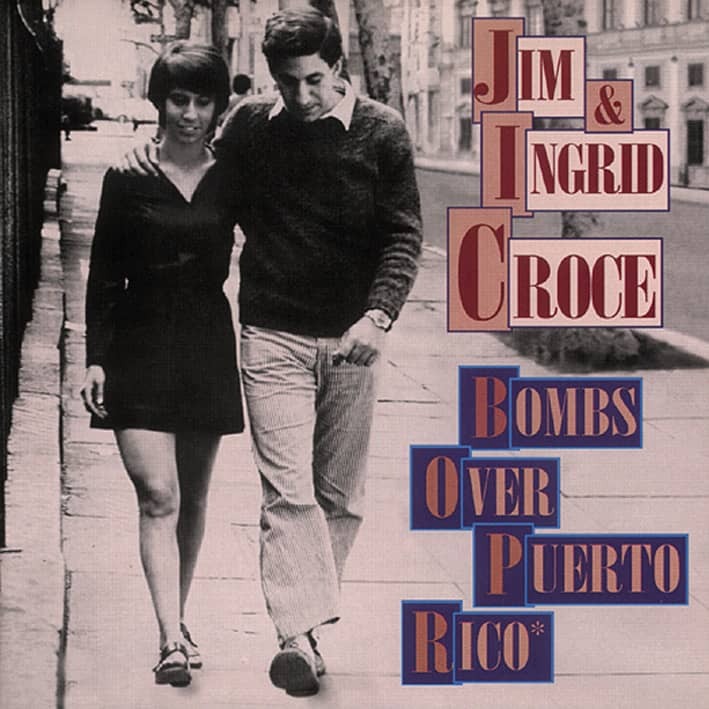 Croce also volunteered at the student radio station, WKVU, where he met his future wife, Ingrid Jacobsen, who was auditioning with her high school singing group. In summer 1963 Croce headed to Greenwich Village to perform as a soloist. After graduation, he and Ingrid formed a duo and played regional folk clubs. When the couple married in 1966, Croce's parents gave him $500 to produce an album. Mixing a few originals with recognizable folk standards, he produced his first album, 'Facets,' pressing 500 copies to sell at club dates. In 1967 and 1968, Croce worked as a special education teacher at a suburban Philadelphia high school, moonlighting as an ad salesman for a black radio station. Meanwhile, his former classmate Tommy Picardo – now called Tommy West – encouraged Jim and Ingrid to sign with his new production company. West sold Capitol Records on the Croces' potential. The duo moved to New York in January 1969 and began preparing for their late April sessions at the Record Plant. When the album was released, the label did little to promote it. Then an opportunity to host a Boston children's television show failed to materialize. Broke and disheartened, the couple moved to Lyndell, Pennsylvania, in October 1970. Jim worked at various day jobs and occasionally accompanied another struggling Capitol artist, Maury Muehleisen. When Ingrid became pregnant, Croce became determined to establish a career in music. With Muehleisen in support, he cut a new demo tape with strong material, including You Don't Mess Around With Jim, Time In A Bottle And Operator (That's Not The Way It Feels), and sent it to West.After the Croces' son was born in September, the singer returned to New York. The sessions for Croce's first official solo album went smoothly. West offered the tapes to ABC Records, which signed Croce to a multi-album contract. His first release, 'You Don't Mess Around With Jim' stayed atop 'Billboard's' pop album charts for five weeks; the title track became a No. 8 hit single. During this period Croce performed as a soloist, backed up by Muehleisen's acoustic leads. They returned to New York in August 1972 to cut Croce's second ABC set, 'Life & Times.' Bad, Bad Leroy Brown became a No. 1 single. That summer they opened for Woody Allen, then making his final tour as a stand-up comedian. Croce recorded his third album, 'I Got A Name,' in June 1973. Now a headline act, Croce hired two additional musicians to support him and Muehleisen, plus a comedian to open the show. In advance of the album's December 1973 release, ABC issued a single of the title song, written by Norman Gimbel and Charles Fox. 'I Got A Name' hit stores and radio stations on September 20, 1973, the day the Croce tour was booked at Northwestern State University in Natchitoches, Louisiana. An hour after taking their final bows, Croce, Muehleisen and their troupe boarded a chartered Beechcraft E18S en route to Sherman, Texas. The plane crashed upon takeoff. There were no survivors. The tragedy shocked the music world. ABC posthumously released a single of Time In A Bottle from Croce's first album; it topped the charts for two weeks. Forty years later Croce's music still endures, his songs in rotation on adult contemporary and oldies radio stations.